We are engaged in offering Fully Automatic Band Saw Machine to the clients. Our offered machine is manufactured from best quality materials and latest technology in adherence to the industry defined standards and norms. Moreover, checked on various parameters, this entire range is available with us in various specifications as per clients’ requirements. 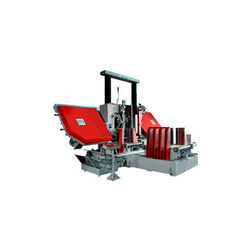 We are engaged in offering Band Saw Machine to the clients. Our offered machine is manufactured from best quality materials and latest technology in adherence to the industry defined standards and norms.